Australia is building its’ own field of green. Increasing public support for legalisation, strong ties to the expanding Asian market, and its’ decades of experience as a large-scale agricultural exporter will ensure that the country’s ascension to cannabis-producing powerhouse is almost inevitable. 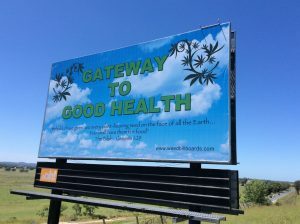 A new Auckland advertisement tips medicinal cannabis sales to be the next hot thing and has urged mum and dad investors to put their money behind the product. 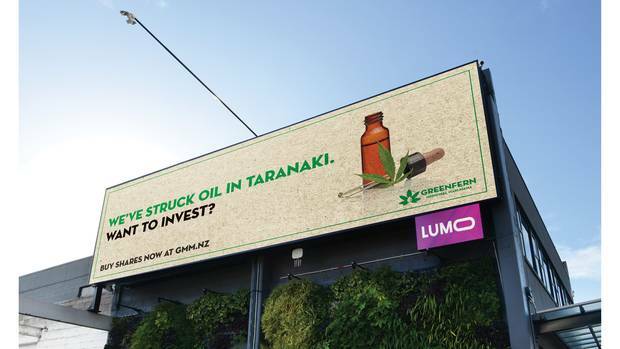 Greenfern Medicinal Marijuana today put up billboards across Auckland, Tauranga, Hamilton and Christchurch, likening the future sale of medicinal cannabis to striking gold or oil. “We’ve struck oil in Taranaki. Want to invest?”, the billboards read. William Barr, President Trump’s nominee to serve as the next U.S. attorney general, made headlines earlier this month when he pledged during his Senate confirmation hearing not to “go after” marijuana companies that comply with state laws. Now, in response to written questions from senators, Barr is putting that pledge on paper, in black and white. He’s also calling for the approval of more legal growers of marijuana for research, and is acknowledging that a recent bill legalizing hemp has broad implications for sale of cannabis products. Interestingly, all over the U.S. people are starting to try – and in many cases, succeed – to buy their cannabis online. In fact, according to a recent study posted in the American Journal of Preventive Medicine, the number of people who look to buy their marijuana from online retailers has risen by 300 percent from 2005 to 2017. California lawmakers announced a bill that would temporarily reduce or eliminate two cannabis taxes in an effort to help fertilize a newly legal industry that they say is having trouble competing with black market operators. The bill would reduce the state’s 15 percent cannabis excise tax to 11 percent and eliminate a cultivation tax a that growers pay for three years. The Israeli cabinet approved medical cannabis exports, opening up a new market for producers. The government is moving to assure a local supply of the drug by giving out grower contracts for 10,400 kilograms (22,928 pounds) of pot over the next four years. The Federal Institute for Drugs and Medical Devices’s so-called Cannabis Agency will choose between 79 bidders from growers by the end of June, the agency said on Monday. Fibromyalgia is one of the most common chronic pain conditions. Every year it affects around 10 million people and about 75% of those are women. According to the National Fibromyalgia Association, by age 80% approximately 8% of all adults qualify as having the condition. Tetra-Bio-Pharma Inc. is far and away the most advanced company in studying the effects of smokable cannabis on fibromyalgia. 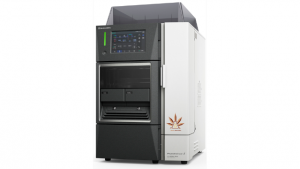 This morning the company filed for a patent related to its cannabinoid-based drug, PPP001. The stock symbol POT is up for grabs on Canadian exchanges, and demand is so high that a lottery is being held for the first time ever to determine who gets it. POT, previously the ticker for Potash Corp. of Saskatchewan before it merged with Agrium to form Nutrien, becomes available for use Friday. Not surprisingly, the cannabis-themed symbol has attracted “significant interest,” according to a staff notice published by the Toronto Stock Exchange. After six weeks, researchers found that patients using an oromucosal spray containing delta-9-tetrahydrocannabinol and cannabidiol had improved spasticity compared with the placebo group, in which patients found their spasticity deteriorated.